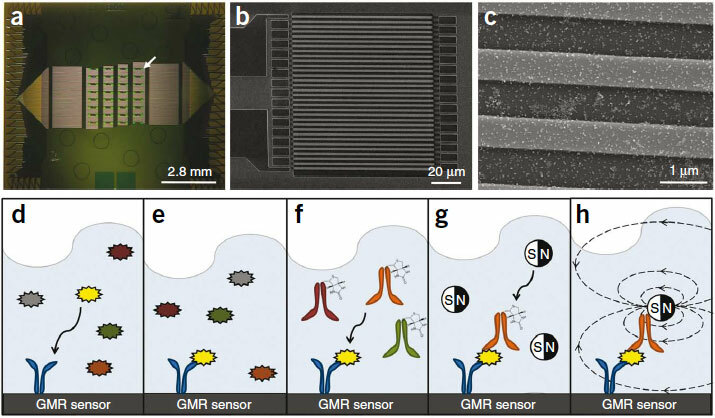 Designed a highly integrated sensor interface and data acquisition system in a 0.18 µm CMOS process to interface an array of 256 giant magnetoresistive (GMR) spin-valve biosensors. The chip from this project has an input referred spot noise of 50 nT/√Hz and achieved protein detection 100 timeslower than previously reported at the top two integrated circuits conferences, the International Solid State Circuit Conference (ISSCC) and the Symposium on Very Large Scale Integration (VLSI). Furthermore, it also demonstrated an ultra-compact design for a sigma delta modulator consuming only 0.05 mm2. 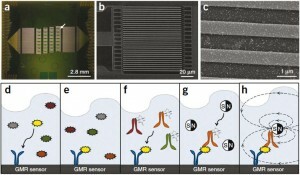 A GMR spin-valve biosensor is a resistive element inside of a continuous time sigma delta modulator. This idea was further extended to include frequency domain multiplexing and carrier suppression techniques to improve the readout time and to reduce the dynamic range requirements respectively. 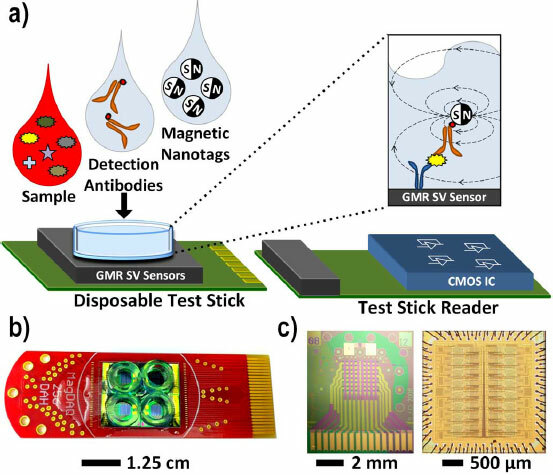 Supervised and mentored a first year master student in the design of a giant magnetoresistive biosensor interface that requires very little digital signal processing. All signal demodulation and filtering is performed in the analog domain creating a sensor interface that is very simple to interface with a simple microprocessor. 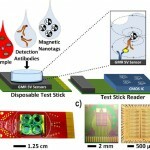 Designed a point-of-care testing device for rapid detection of HIV and Hepatitis-C in developing countries. Miniaturized a research grade biostation into a handheld, ultraportable device. Also re-engineered the bioassay to make it extremely easy to use and wash-free. Designed sensor interface and wrote LabVIEW software for several research grade biostations. This sensor interface and acquisition system was used in several of the key publications that came out of our research group.